We are back to normal after last week's lab day at Axonista. Man Crates announced the launch of their new Porch Privacy Protection. We opted for the creepy clown. The latest 'Over The Top' is now live. Joining Dermot and Jocelyn in our New York office is Anna Gonzalez, Head of Social Media and Video at Nasdaq. Anna tells us about how Nasdaq uses social video to promote its business activities to wide and niche audiences. I always keep saying that we don’t create content for content sake. Because when you’re in news we can think: ‘Oh, what is happening? What are the topics?’ That is not really why we produce content. We produce content that helps drive the bottom line in whatever case the project may be. Late last year there was a watershed moment for YouTube that started with the publication of an innocuous-sounding article titled "Something is wrong on the internet". What it illustrated is an exploitation of child-centric search terms on YouTube which puts dark and disturbing content within a few clicks. The fallout from this article quickly led to YouTube introducing a swathe of new measures meant to address the problem, but evidently, the problem still exists. Can anything be done to stem the tide? A random browsing test with a toddler (who wasn't actually shown any unpleasant content) took us from YouTube-native children's favourite Bob the Train to, a few stubby-fingered lunges at the tablet screen later, a fake Mickey Mouse cartoon with depictions of eye-gouging, a parasite-infested stomach and small children setting each other on fire. TG4 is an Irish language broadcaster in Ireland, promoting the Irish language. When it comes to finding younger audiences the broadcaster is demonstrating that they are actively seeking and chasing these viewers in new and exciting ways. 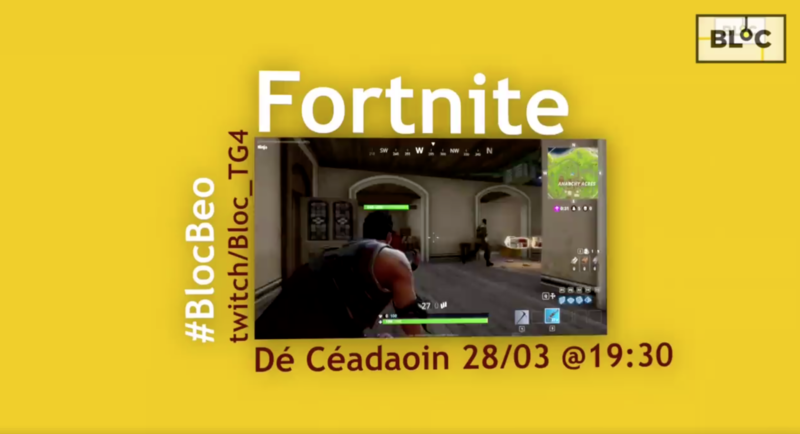 TG4 created a Twitch channel to stream their own gaming content in Irish. Twitch boasts even greater popularity in recent months with celebrities such as Drake tuning in and joining mega streamer ‘Ninja’. At Rerun, we think their tactic to serve younger audiences is innovative and clever! The BBC is losing ground in a market that's growing. That's the conclusion from a recently published annual report by the national broadcaster. The BBC is being bested by a small number of American media companies, which have acquired all the creative and financial firepower. "Their business models and huge budgets mean we are increasingly being squeezed out of an ever more competitive environment. British creativity and British content are now under real threat." The report announced some changes the BBC intends on making to keep their streaming service viable and relevant. Notably, to make the iPlayer a destination rather than just a way for users to catch up on shows they've missed, increase personalisation, and add more live content. Trivia app HQ is taking the world by storm as of late. Following on from our recent lab day, we've a massive appreciation for the work that goes on behind the scenes in putting together a successful live interactive quiz app. Technology is only one aspect of what makes HQ such an interesting phenomenon. A big part of HQ Trivia's success lies in creating social content that removes distractions and urges audiences to lean-in. The game concept, the high production value, referral codes, minimal push notifications, set time slots, the countdown music, coming up with interesting content for questions, finding entertaining hosts, giving people free money… HQ got a lot of things right, right from the start. HQ didn’t reinvent the wheel, they created a complete shared experience around a live trivia game concept. Creating fun and rewarding experiences capable of holding users attention is an important challenge for brands today. Well crafted interactive video content offers an exciting way to do just that. Apple pride themselves on how they keep their customer's privacy, private. Yet they are fully aware that they "could make a ton of money if we monetized our customers” but that the company opted against this. Apple still has Facebook app's available in their store and have policies of what is and isn’t allowed there. Could they do the unthinkable and remove Facebook from their store? Only time will tell but it is an interesting time for all involved. Wes Anderson's new film, Isle of Dogs, was just released last week in the US. If you're a fan of Anderson, good stories, and/or dogs, it looks to be a must-see. This article talks with production designer of the stop motion film, Paul Harrod, who led the team designing 240 sets and 44 stages. We've already seen with the Overwatch League how the esports industry is moving towards a franchise model in a bid to attract bigger sponsorship and become a bit more familiar to traditional sports partners. The premier EU league for Riot Games' "League of Legends" is moving to a similar model next year and has released some of the details around that. To buy a slot in the inaugural league will cost €10.5m for new teams and €8m for existing ones. The league and teams will share revenue (see the article for a breakdown of that) and the minimum player salary will be raised from €24k to €60k. It sounds like big money, and it is. Teams in North America are raising capital at $140-200 million evaluations, so it's an exciting development for the EU and signals long-term ambitions for all involved. And the award for the best use of gifs this week goes to... Expedia!